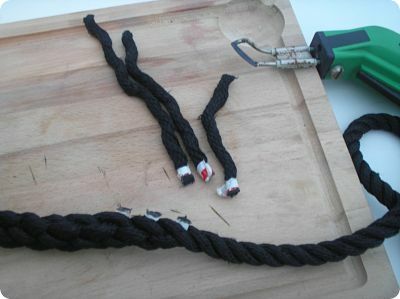 Rope Eye Splice: How To Make One! 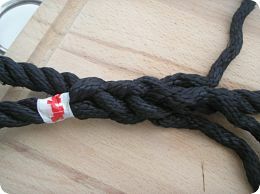 Making a 3 strand rope eye splice is a nice way to build a loop in your rope. It makes your ropework really look good! 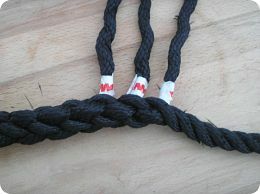 The splicing itself, is no different than with the back splice. The only tricky part is to make the first connection. 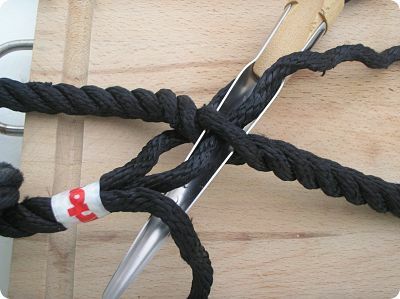 I'll show you how to make a rope eye splice! 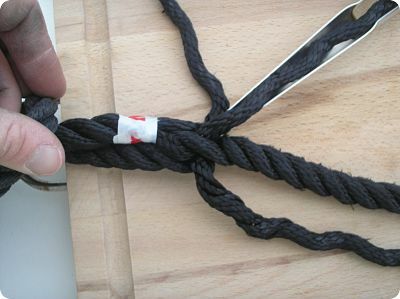 Depending how big or small you want to make your loop, choose the position where you want to start inserting the rope. 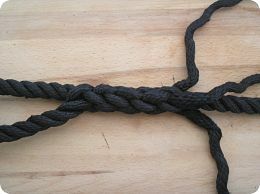 Take the strand in the middle (let's call this one number 1) and pass it under your chosen strand of the rope itself. 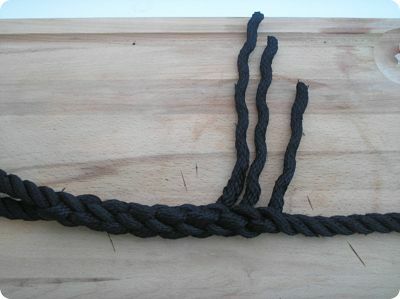 Now, turn the rope a bit towards you and take the strand that is closest to you (number 2). This one you pass over the strand that has number 1 under him. Put number 2 under the next strand. At this point, you should see that number 1 and 2 are coming out of the rope at the same place of the rope, but on a different corner. The corner that is still available, that is the place where number 3, the strand we didn't use yet, needs to come out of the rope. So, if you hold the rope vertically, all strands exit on the same level, but on different sides. Pull on the loose strand to make the connection tight! If you got this, then you've passed the difficult step. Now, you take one of the loose strands and you pass over and then under the strands of the rope. You do this with all three of them, so the result is that you are 1 level further. Again, all strands are coming out at the same level, but on different sides. Do it another time. 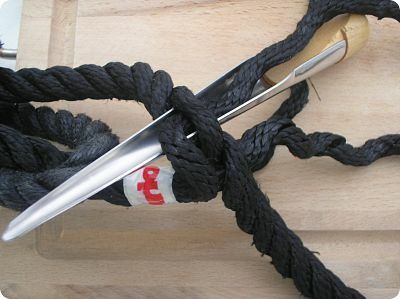 When you splice a 3 stranded rope, you need to do three tucks minimum. 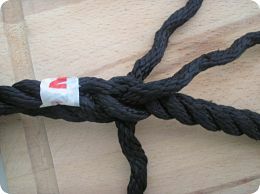 From time to time, you can put the rope between your hands and roll it a few times so that the splice becomes more even. To finish, I like to make a tapered effect, which means that the transition from splice to rope is smooth. One strand I leave as it is. I repeat the pass over and under movement with the other 2 strand, so that 2 loose strand are coming out of the rope at the same side, but different level. I do another tuck with the strand that exits a different side. Now, all three should exit at the same side, but on a different level. Put some tape on them as close to the rope as possible. And then, you use your rope cutter to burn off the ends. Remove the rest of the tape and voila... Your 3 stranded rope eye splice is ready!